Well, I am glad to announce that I finally have an air conditioner in my house. This 100+ degree weather was taking a toll on my indoor temperature, but now it is nice and cool! Yay. I sat down, and coded for 4 straight hours and finished the Auto Shop! There are a few items in the game to get so far, and now you can equip them! 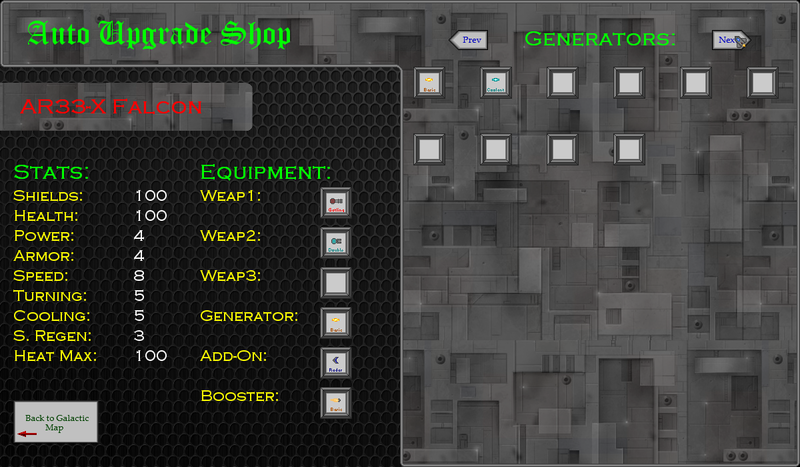 As I make more items you'll be able to go to the auto shop to access them. 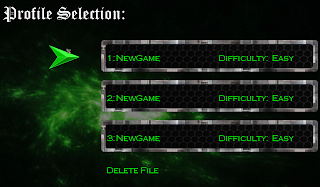 Also there were some minor additions to the game as well, such as a delete file function that resets a file (which apparently is a bit bugged, don't hit it unless you want to delete a file, esc doesn't work atm). There are also some stars in the background of the map area to make it look a little better as well. 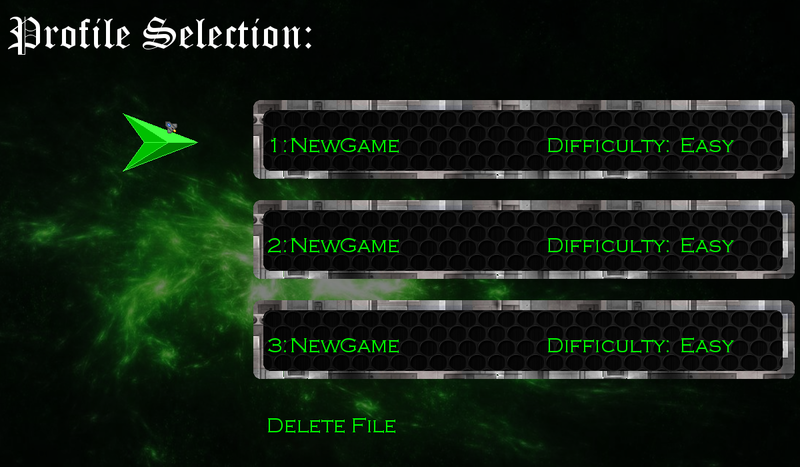 At the bottom there is now a Delete File selection to erase old files and reset the information in the save file. 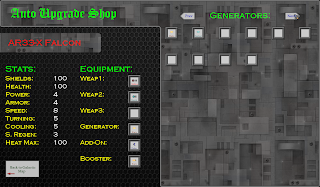 Here is the Auto Upgrade Shop! Found just above level 1 after you rescue Floyd and leave the area, you are able to access the Auto Shop and equip your collected items! 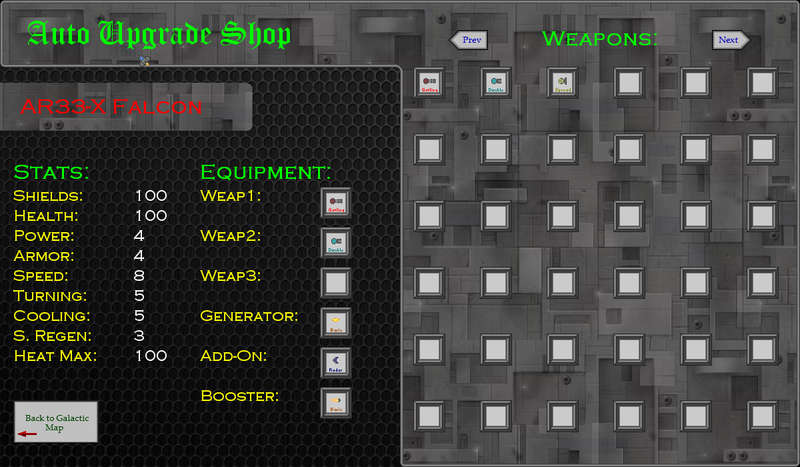 There are 4 pages starting with weapons, and continuing to generators, add-ons and boosters. 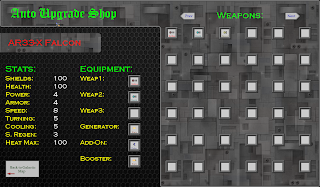 While the on the weapons page you have to click the weapon and then click a slot, the other 3 pages require only one click on the item you need. Because there is only one place to put it :). Stay tuned for new updates and if you subscribe to my blog or youtube channel, you might just get some special neat goodies in the future!